Boston's premier Pan-Jazz Ensemble blends Calypso and Jazz. 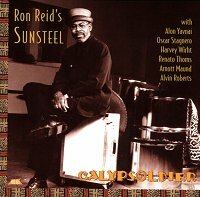 Compositions by Len 'Boogsie' Sharpe, Kitchener and Superblue complement Reid's own. This CD is a polished blend of human and instrumental voices in a well-honed Pan work.